Too expensive, especially with all those steadfast icons. And a non-unique restriction too. Hard to justify including this one. 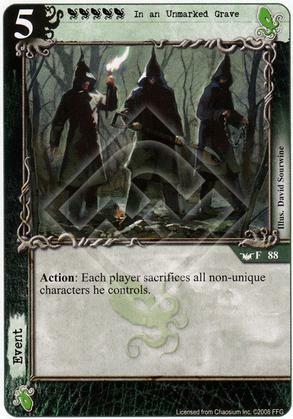 This is a card that has to be built around, in a mono cthulhu unique heavy deck running high cost characters. In that specific deck it's a really good card, almost a one sided reset. I can see this as a good way to close a game.